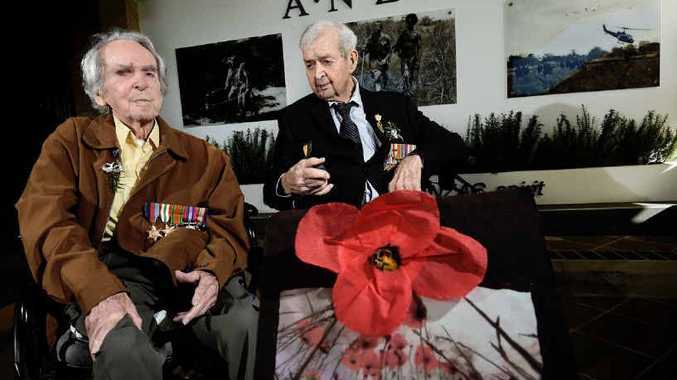 ANZAC DAY came early for residents of Fromelles Manor in Lismore. General manager Matthew Ashby said many residents were unable to attend the regular commemorations in town so the residential care centre holds its own annual service. One of the residents in attendance was Tom Smith; one of only 10 of the Rats of Tobruk still alive in NSW. Mr Smith grew up in Kyogle and was originally due to be shipped out to Singapore with the 8th Battalion, but a soldier died in his barracks with a mysterious disease before he was deployed. He was therefore quarantined and fate sent him instead to the Middle East. Tom Smith was a sapper (combat engineer) whose main role was clearing mines in front of the artillery regiments. He described the process of crawling around on his hands and knees, poking at the ground with a bayonet. "We knew just how far to push it in," he said. At the Battle of El Alamein the mine clearers were two kilometres in front of the tanks and the rifles, leading the way in a campaign that turned out to be a major turning point for the Allies in Egypt. At Tobruk, he was one of 14,000 Australians that held the Libyan port for months "without relief" from the German-Italian Afrika Korps. Mr Smith said he used to go to Sydney to march with the other 'Rats', but he has been unable to for the past four or five years. 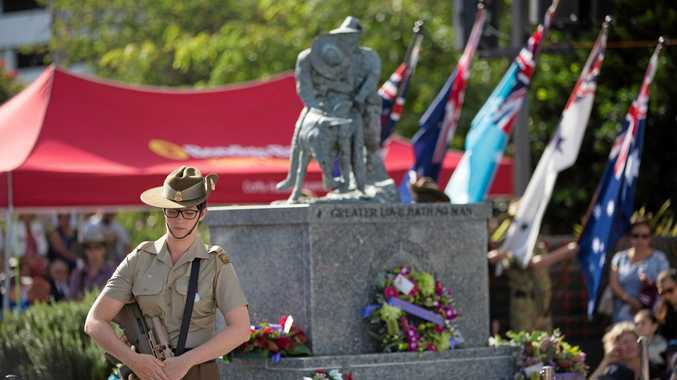 Anzac Day commemorates not just the landing of Australian troops at Gallipoli in 1915, but also marks the 100,000 Australians who have died in all wars. But Mr Smith has his own Gallipoli connection, with his uncle Harold Hayes killed in battle there and mistakenly buried in the New Zealand cemetery. Another uncle, Mark Hayes, was awarded a Military Cross for services in France.